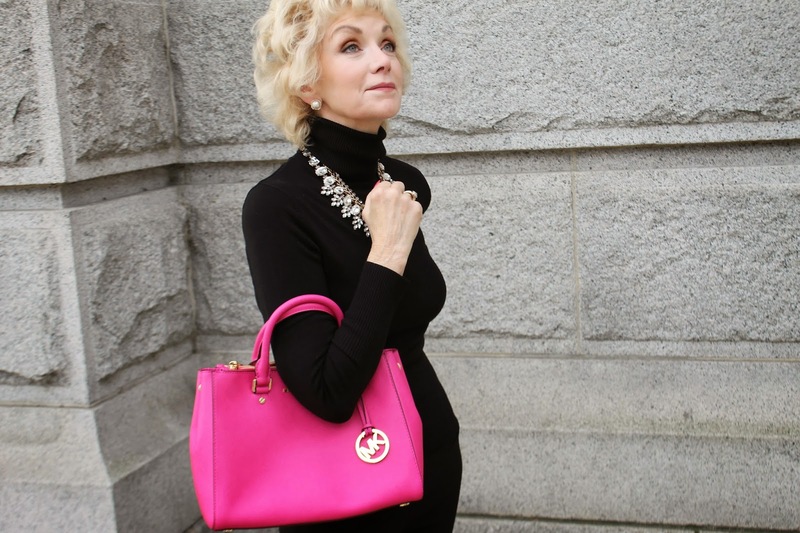 My mom has a classic, chic style that seems to transition from day to night and from year to year without ever going out of fashion. Today is my mom’s birthday and so I wanted to do a post in honor of her. My mom has always been one of my style icons. When I first started working in the professional world (and clearly had no work appropriate clothes) I would routinely raid her closet for suits and handbags. My mom’s style is very classic – think camel trenches, striped shirts and fitted pants. I have always known my mom was stylish, but recently, as I have spent more and more time on this idea of being an “and” person (see this post) I realized that not only is my mom a fashion inspiration for me, but she is also my inspiration when it comes to being an “and” person. My mom is, like me, a lawyer; but she has always had a creative side. When I was growing up she not only had her law practice but she also worked as a writer. She even published a children’s story! My parents always taught me that I could be whatever I wanted to be, but I am just realizing that my mom also instilled in me the inherent belief that I don’t need to fit any one mold. I can be a lawyer AND a fashion blogger. You can shop her outfit here in the widget below. If you missed it, you can also read her style tips for young professional women. "Wednesday Wants: Spring Trends for Work & Weekend"
aww, what a sweet post to your mom. how interesting to see the similarities in your professions and "and."